How much do you really care for your weenie? A well-tended weenie makes for a much happier experience for anyone who crosses its path. If you’re neglecting your weenie, you can bet your sweet buns that it will either become sad, lonely, and bitter or unruly and impulsive, and trust us, you don’t want your weenie going off on its own! 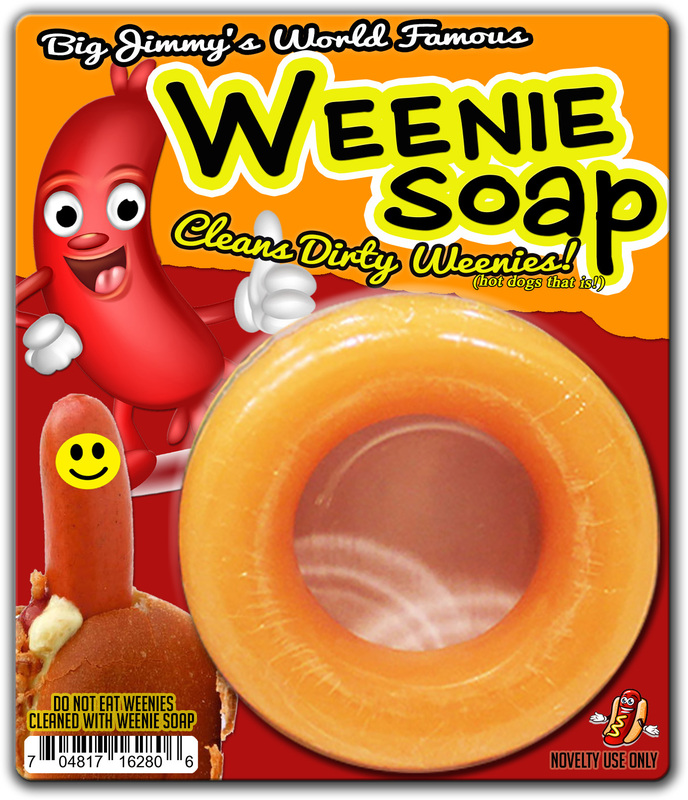 Jimmy’s World-Famous Weenie Soap will have your weenie winking its approval every day! Taking the time to regularly show your weenie you care is a recipe for a long, satisfying relationship, complete with a happy ending. Gag gifts for guys have never been so pleasing. You can be certain every gift-giving occasion will have a happy ending! 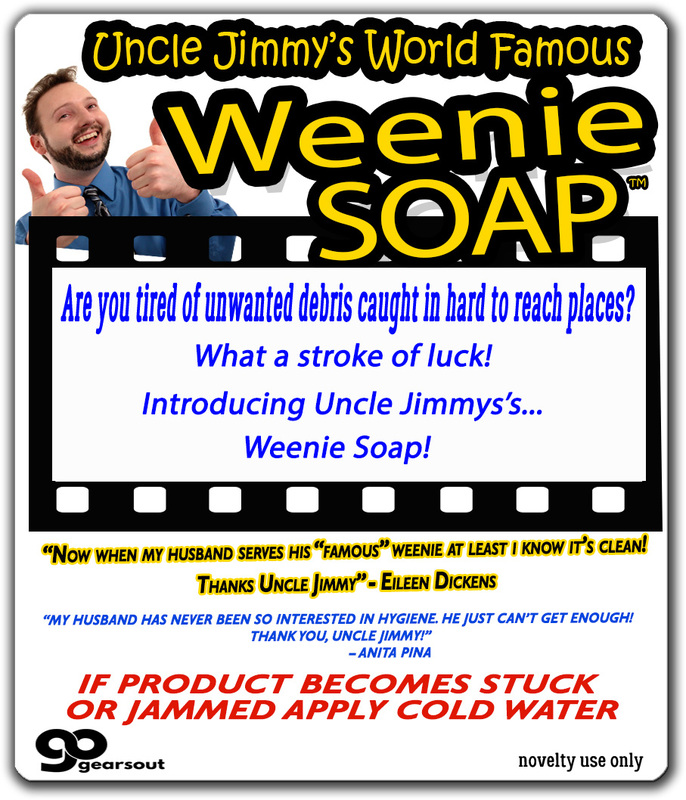 Slip Jimmy’s Weenie Soap in as a naughty stocking stuffer or wrap it up for his birthday, anniversary, or bachelor party. Any man who prides himself on the quality of his weenie would enjoy this handy helper!